Do You Like Coffee Cake? 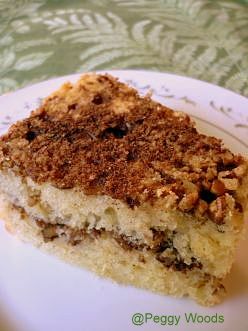 Coffeecake and pecan rolls were a regular Sunday treat in my early years of growing up. 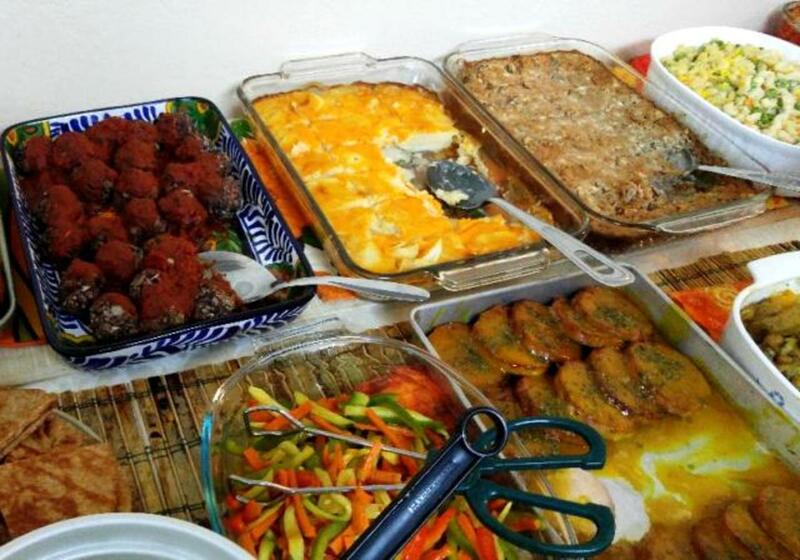 My grandmother had a regular habit of baking both recipes late on Saturday and after church we always had that to look forward to eating. Sadly, I do not have my grandmother's recipe for her coffeecake, but I am happy to share this sour cream coffeecake recipe of my mothers with you. Enjoy! I will also share one little memory of mine from those days. Not only did my grandmother bake both treats for the family, but she had three small tins in which each of we "kids" had our own special coffeecake. We felt so very special and loved by her that she would go to such special efforts on our behalf. She was the sweetest of grandmothers! My mother was also an excellent cook and did a lot of baking. As a matter of fact, until we moved to Texas (all of my preteen years) she always made homemade bread. She never purchased bread from a store. Cream the butter, sugar and sour creme together in a large bowl. Add the eggs and vanilla. Beat well. Combine the dry ingredients and add to the creamed mixture beating well until the ingredients are well blended. Blend the topping ingredients in a separate small bowl. Bake at 350 degrees for 45 minutes or until a toothpick inserted comes out clean. Be prepared for compliments when you serve this to company. I truly hope that you will enjoy my mother's sour cream coffeecake recipe. Are you now prepared to make some coffeecake of your own? Yes, I am inspired and I now have plenty of recipes. No...I'll just order some when I am out. Kindly rate this recipe. Thanks! A different coffeecake recipe...watch the cat at the end! My mother's sour creme coffeecake is really delicious and would make a good birthday cake. What I like about it is that it is not overly sweet...but still delicious and satisfying. Thanks for your comment. 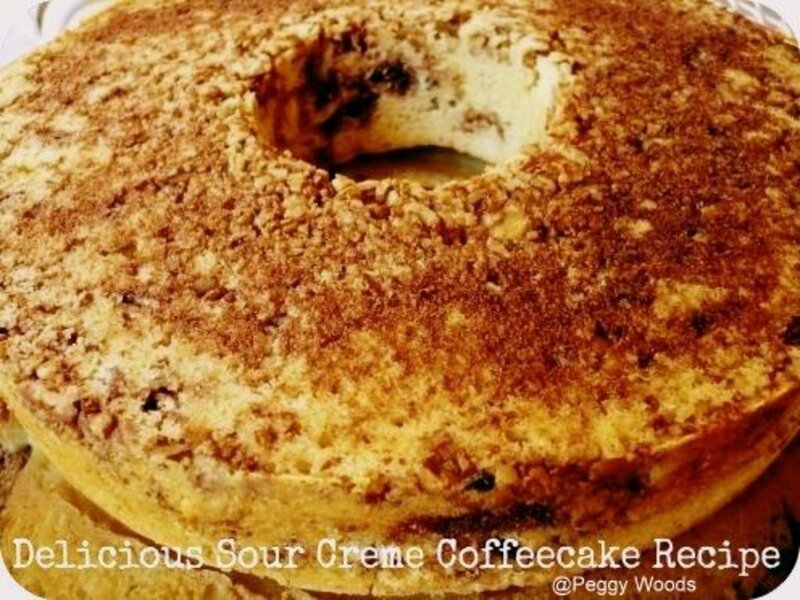 Peggy, your mother's Sour Cream Coffeecake sounds like it would satisfy my longings for a delicious treat now and then. IT would be something special and different for a birthday cake too. A Greek yogurt could probably be substituted for the sour cream because it would be a thicker consistency more similar to sour cream than regular yogurt. If you try it, please let me know how it works. what to replace sour cream? yogurt? So happy to hear that you enjoyed reading this coffeecake recipe that came from my mother and also glad that you enjoyed the video. Happy holidays to you! Very happy to share this with you and others. Glad you liked it. With your Polish heritage, this coffeecake recipe should definitely appeal to you. 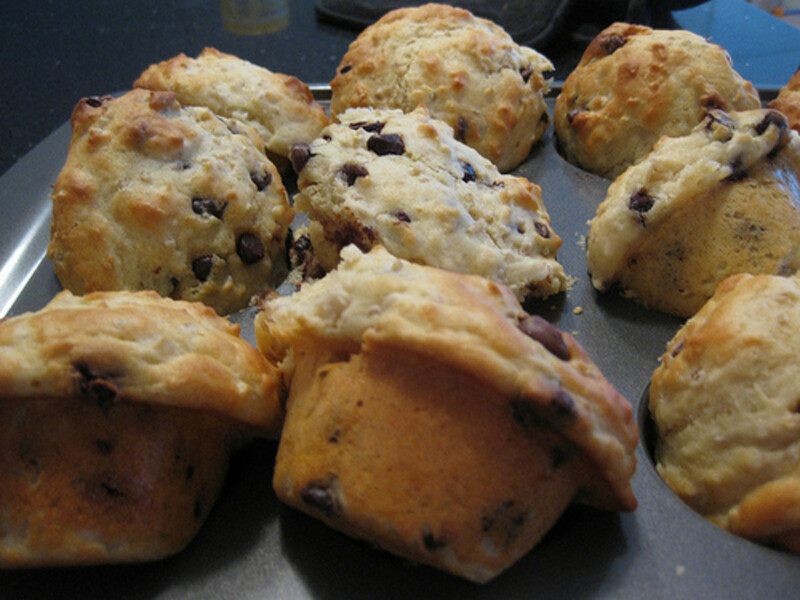 I am glad you liked not only the recipe but some of the family history. I also think it makes it more interesting. Merry Christmas to you also. This delicious coffeecake would be just as good with a cup of tea or a glass of cold milk or other beverage of your choice. Believe me, it is yummy! My mother was a very good cook! This coffeecake of hers is a winner! This recipe looks different and interesting, something I have not tried before. Mother's recipes are always special and same is true for this one too. Thanks for sharing the instructions and the video. What a great treat to make thanks for sharing! Peggy - The coffeecake sounds wonderful. Half of my family hails from Poland and we are quite partial to sour cream in or on anything! :) I really like your hub because the best recipe hubs are the ones that imbed a recipe in a family story or some family history. I always try to do that with my recipe hubs. Really enjoyed this. Merry Christmas! Oh, YUM!!! I love coffee cake, even if I don't drink coffee. Thanks for sharing this piece of lovin' from your mom's oven, Peggy! The creme coffeecake looks really yummy and a big applause to your Mom, who prepared a great stuff. Thanks for sharing the hub along with the video. We all need our sweet treats on occasion. Ha! Enjoy this delicious recipe with my blessings. Happy holidays in your part of the world. Loved this. I am shopping for Christmas and I will include my guilty secrets, I am helpless. This is a good coffeecake if one has enough company to eat it. It would probably freeze well. It will be a quiet Christmas for us but a nice one. Hoping that yours is good and that the new year to come is a good one also. Thanks! This would be perfect on Christmas morning or any morning. Especially nice if one has guests staying over the holidays. Sharing this great article and recipe again. Really hope you are enjoying the holidays as Christmas is only 3 days away and then it will be time to think about the New Year. Merry Christmas! And wishing you and your family a happy healthy New Year too! So glad you like the sound of this recipe and also liked the accompanying photos. It is always nice to have an idea of what a dish looks like when completed. Yes...I have some great memories! Thanks! 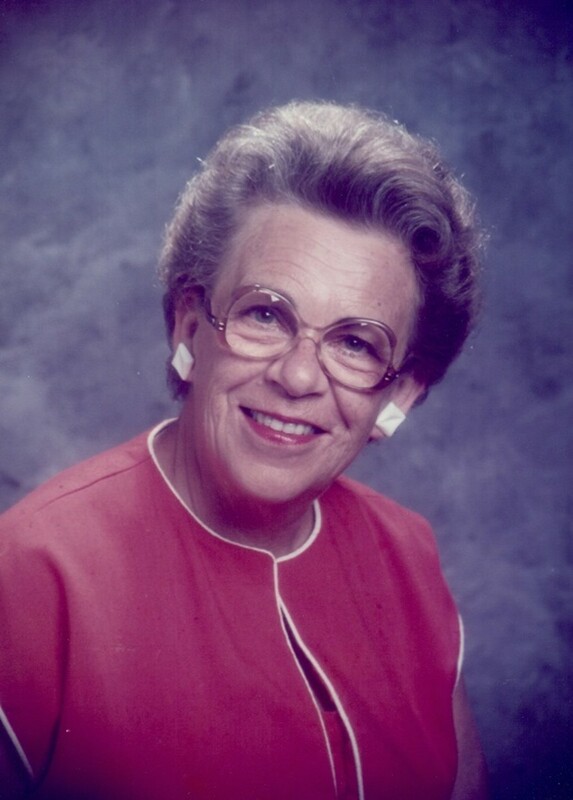 Peggy W. Hi. What wonderful memories of a beautiful grandmother that will be with you forever. Your mums Sour cream coffee cake recipe sounds and looks great. Always appreciate your easy to follow directions and photographs. For some reason it helps to see the finished product. Thanks by bringing this hub to my attention again by your comment. 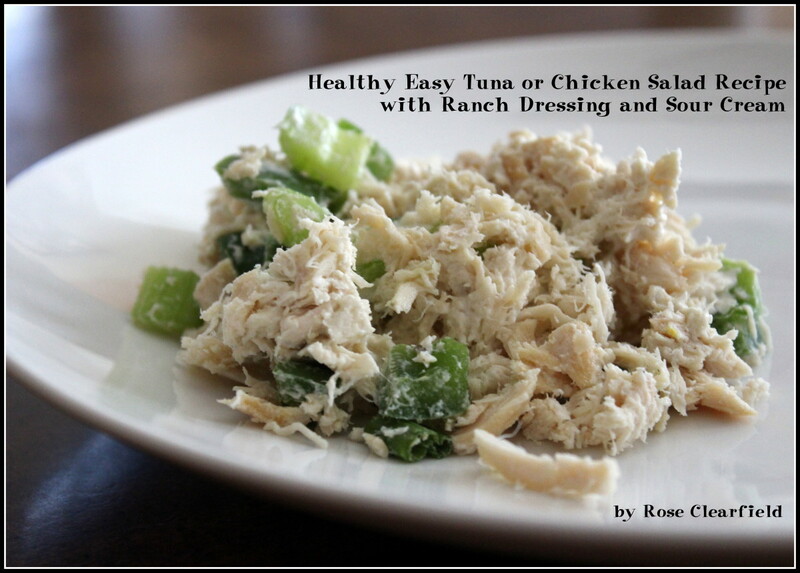 This is a delicious recipe and I'll have to make it again sometime soon. Thanks also for your share, pin, etc. This looks good. I love cakes of any kind so I'm going to pin it. Voted up five stars and shared. Enjoy this sour creme coffeecake recipe from my mother's recipe file with my blessings. Am sure that you will enjoy it. It makes a perfect treat for when hosting company. Appreciate your comment. I love coffee cake but haven't made one in ages! This would be perfect for company and would be quick and easy, too. Thank you for sharing! It would work equally well in a bundt pan as well as a tube pan. Hope you and your guests enjoy my mother's coffeecake recipe. I like to avoid all the preservatives in package mixes also. You know exactly what is in homemade recipes. Thanks for your comment. Superb recipe! Will have to try! I found this hub through Mary's sharing of it. This is especially helpful as I always like to have coffee cake on hand whenever we have house guests. But the package mixes are full of preservatives and artificial flavors. So this made-from-scratch recipe is exactly what I need. Do you think it would work in a Bundt pan? I got a Bundt pan for Christmas last year but I don't have a tube pan, do you think it would still be OK? Ah...yes...this delicious coffeecake recipe is not necessarily for those hoping to diet and lose weight if eaten regularly. But for a special treat...it is scrumptious! Thanks for the compliment about my mother. Her external beauty was exceeded by her internal beauty and the person that she was in this life. Thank you! Your recipe for sour creme coffeecake looks SO good. Who cares about calories, right? I remember Julia Childs saying if you don't use butter in your recipes, you'll be sorry! I agree. That is a precious photo of your Mother, by the way. She was a beautiful lady. This coffee cake is truly rich and delicious. Good luck with keeping some of it frozen. Haha! Thanks for your comment. I love the sound of this coffee cake, especially if it's made with butter! I think it would be delicious, even if it is rich. I was glad to read that it freezes well. Perhaps I could eat slices of the cake occasionally, if I had the willpower to leave the rest in the freezer! Wish I could send you a piece...but I would have to make it first. Guess you will just have to make your own sour cream coffee cake! Ha! Thanks for your comment. It would go great with a cup of tea! 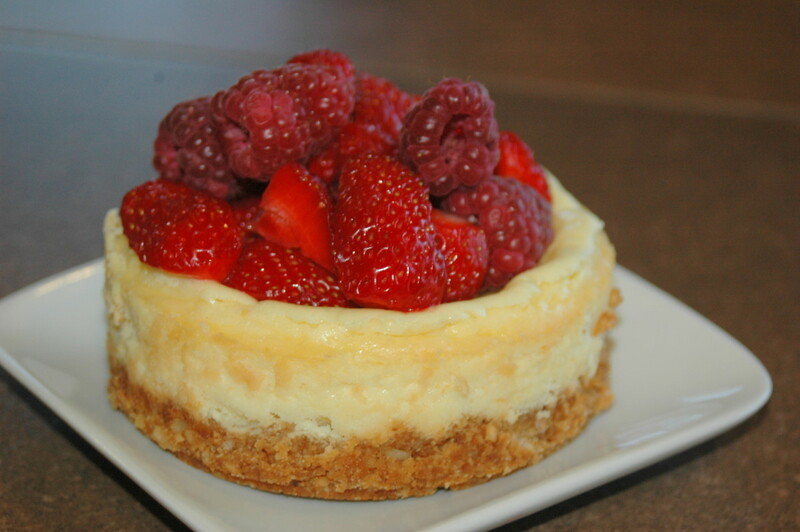 Oh gosh, how I wish I had a slice right now to accompany my cup of evening tea! This sour creme coffee cake will always make me think of my mother. Glad that you liked the sound of this recipe. Thanks for your comment and vote up. You always have awesome cakes! Bookmarked and voted up! Yes this sour creme coffee cake recipe of my mother's definitely has a cinnamon taste. Hope you enjoy it! I love that picture of my mother. Wish she was still here! I can almost smell the cinnamon from here. Can't wait to try this one out! Beautiful picture of your Mom too. Let me know what you think after baking my mother's recipe for this sour cream coffeecake. Hope that you like it. To answer your question...a stick of butter contains 8 Tablespoons or is 1/2 of a cup. In what form does your butter come? 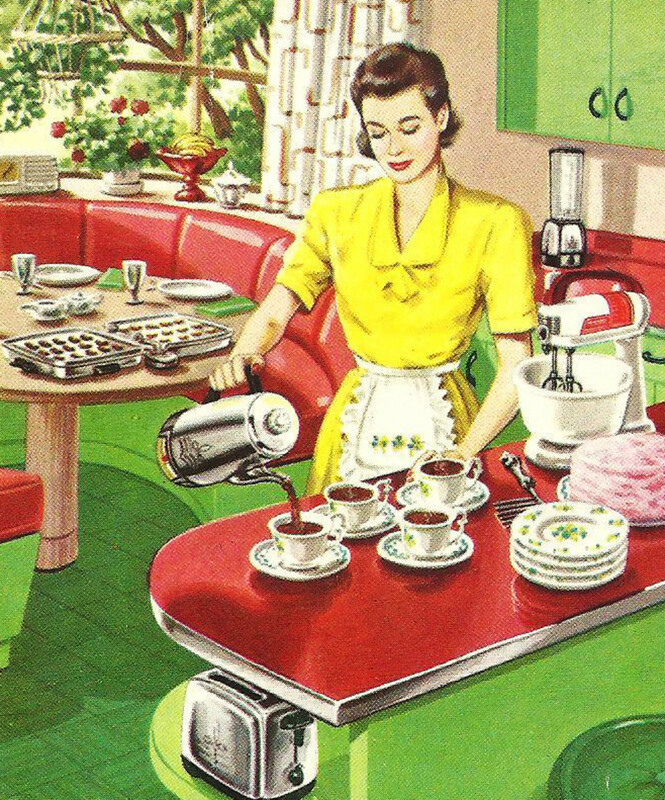 Think I'll just pop into the kitchen right now and get baking - oh no, it's rather late, better wait until morning! Anyway I have a question - how much is a "stick" of butter or marge? We don't get these things in "sticks". Nice to hear that you also have special coffeecake memories related to your mother. Bet hers was good also. Thanks for the visit and comment. Nice memory. My mother also occasionally baked coffee cake and it was special. Thanks Mardi. The tulips were brought by friends who came for dinner and it was the stimulus to get some photos while they were so pretty. 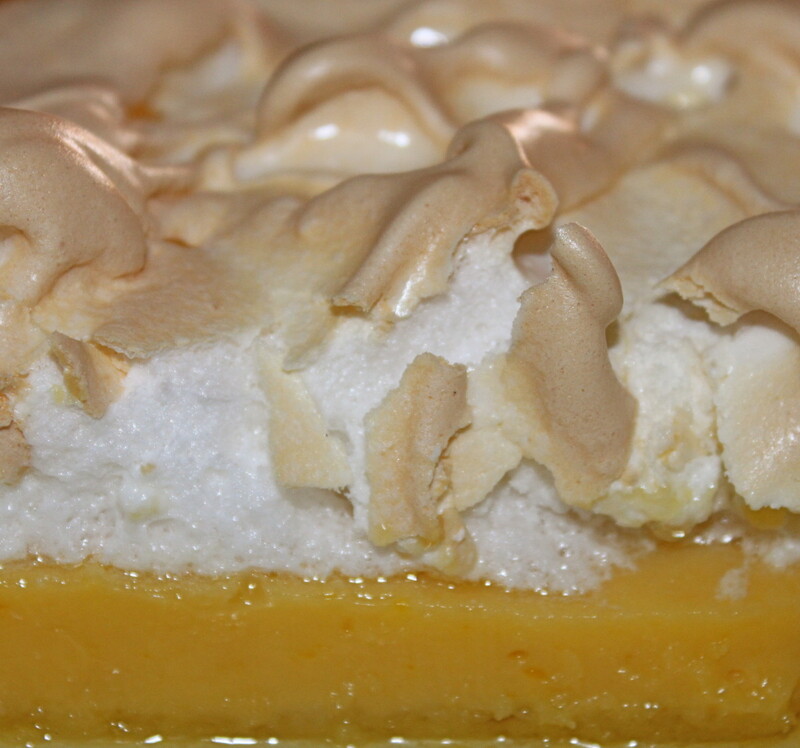 It made sense to add my mother's photo to the hub with her recipe. I love the picture of your Mom, great addition to a fantastic hub! Peggy, Peggy, Peggy. I know I did NOT need to stumble across this hub as my one true vice is coffeecake (well at least that I am admitting to here!). Thanks, am adding this to my recipe collection of tried and true favorites. Just don't eat the entire Sour Cream Coffeecake recipe at one time! Ha! Probably about time to make another one for my mother. It really does freeze well. Let me know if you liked it as well as Jimmy Fuentes did. Thanks! I think I gained a pound just looking at it! But honestly the best baked goods are the ones that are the most fattening! I am going to make this some time this week. Thanks for the recipe! So glad that you and your wife liked it, Jimmy. This may encourage more people to try it! Bet it was pretty with the white dusting of powdered sugar. Thanks for letting me know the outcome of your trying the recipe. Hi Peggy,Ok.. So, we actually went out at 1145 last night for the ingredients we were missing and we made it last night ! hah. It didnt look exactly like your picture (I think we used a bundt pan or something like that - my wife is the baker). Anyway, it was great ! My wife has a real sweet tooth so she added powdered sugar to the finished product. It was wonderful.Just figured I would let you know we tried it and we really enjoyed it.Thanks again ! Hi Journey, I'm the same...seldom make desserts. In fact, my husband and I would much rather have some cheese and fruit (along with a glass of wine) for dessert and often serve that for our dinner parties instead of a sweeter alternative. But.....occasionally I bake something like this coffeecake for my mother who now lives with us. She definitely has a sweet tooth. When she grew up most dinners were finished off with a dessert. Looking forward to your report, Jimmy. The recipe works out fine just as posted. It is very rich! If you want to cut calories, you could use low fat or non-fat sour creme. My theory.......just eat smaller portions and enjoy. It freezes well if wrapped tightly. Alright Peggy, if you couldn't tell already, I am a coffee fanatic. Actually one I help market a fat burning coffee... Might as well have a little balance in my life and have the coffee cake so I dont shrivel up from the coffee ! LOL.. I am going to make this in the next couple days.. Any additional tips that I should know when preparing it? I can hardly wait. I will post back here with how I did. It is rich but good for a special treat. Let me know if you liked it when you make it. Thanks! Yummy! Lovely recipe...am sure to try this one.. If we lived closer I'd be more than happy to give you a piece or even two. When I infrequently make sweets, my husband and I may have one piece and then the rest of it is enjoyed by my mother over time. Thank heavens for freezers! I laughed when I read your comment. Can't afford to eat this kind of stuff often, but I did make it for my mother who has a sweet tooth this morning as a treat. I figure at her age, if she likes this kind of treat once in a while......why not...! A slice of that would be good right about now. . .
Another idea to make me a bigger man.